Posts Cover Reveal for Detritus in Love! Cover Reveal for Detritus in Love! Eeeeee! Here it is! This is the collaboration John Boden and I have been working on. He sent me a snippet of a story to read, and I fell in love with the characters. There was the unfortunate boy named Detritus by his mother. The ghostly best friend in a Nazi uniform. The dead girl who refused to acknowledge she was dead. And the ravenous Opposite. John asked me if I wanted to collaborate on this story, and we sent things back and forth, taking our time and writing a few lines here and a paragraph there. It was truly a joy. 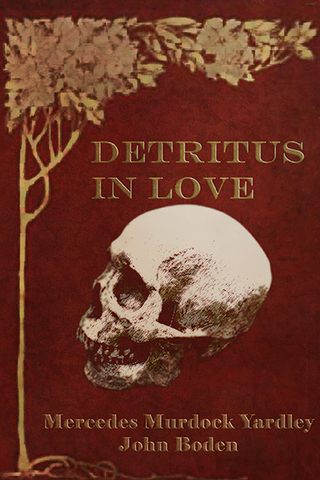 Detritus in Love will be released on October 3rd from Omnium Gatherum. I can’t wait! This is truly something different, and I hope you enjoy it. It looks so great!! I can hardly wait to read it! !